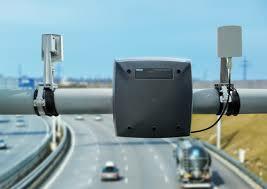 Traffic Products specializes in the collection of high quality data for intelligent traffic systems. Our state of the art products assist municipalities in achieving safety and security on their community roadways. The "wave of the future" in vehicle technology, has quickly turned into real time data to assist drivers in navigating roadways easier and safer. Introducing our two vendor partners- Siemens and Applied Information, providing Traffic Products with cutting edge technology to take your city into the next phase of traffic technology advances. The Applied Information Glance Smart City Supervisory System™ connects your intersections, school beacons, and emergency vehicles to form a cohesive, connected system. TravelSafely™ saves lives and improves traffic. The future is now. Bring this revolutionary, and life saving technology to your city. Drivers can see when traffic lights will change Glance TravelSafely combines Smart City solutions with advances in Connected Vehicle technology to create a network of knowledge that makes your roads safer. The Connected Vehicle Roadside Unit provides wireless communications from roadside infrastructure to vehicle On Board Units. The Roadside Unit operates on the 5.9 GHz Direct Short Range Communications (DSRC) band compatible with vehicle systems to provide very low latency required for high speed events, such as crash avoidance.